Earn S.E.E. credits in the comfort of your own home! Be sure to add this powerful workshop to your calendar, Friday 6-9 pm, and Saturday 9 am - 6 pm. Please bring your lunch as there are no restaurants nearby. Early bird price is $97 if you buy your ticket before May 15; after May 15 pay $117, which is still a great price for this exceptional, international speaker. Martha will be our guest speaker on Sunday, May 26 followed by a mini-workshop to integrate her wisdom teachings, supported by your love offerings. Our amazing video is complete. Watch it HERE. A year ago, we moved from a consumption to contribution model for our fellowship drinks and snacks. This means that YOU get to practise the joy of giving by bringing in snacks and supplies to make coffee/tea. Fellowship Friends - We are in need of Decaf coffee. We're taking it a step further and are adapting a really fun and successful idea of one thriving Unity ministry. -- will be invited to bring in fellowship treats and drinks. Apr 21 - Please bring an Easter treat! Apr 28 - Have you ever volunteered? 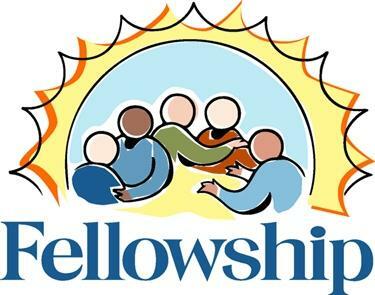 If so, please contribute to our fellowship celebration. For three years, we have served the greater community by providing a lunch on the last Sunday of the month to neighbours of High Jinx. March 31st. The coordinator this month is Penny Thompson. Watch for the sign up sheet to provide ingredients for this month's soup and sandwich in support of HighJinx. If you would like to give to replenish the food cupboard at HighJinx we are happy to receive non-perishable food items as well. We are so grateful to have more than we need and be able to give! Want to help get the word out that USCO exists? 2. See a newcomer? Connect with them, thereby expressing our value of inclusiveness. Here is something you may be interested in viewing. The Oprah interview with Maya Angelou where she talks about finding Unity Church.